Safe Teen Driving Blog - Page 41 of 67 - Safe Teen Driving Blog - Providing a solid base for teen drivers by improving behavior, attitude, skills and experience. Imagine your 16-year old, late after his first solo drive — the phone rings and it’s your child, asking you to pick him up. He lets you know that he had an accident. You feel relief that everyone is safe, you bring both the vehicle and your child home. As you begin to understand what happened, you think how could I have prepared my child for this situation. Having a conversation about how to handle a vehicle emergency is the right start. 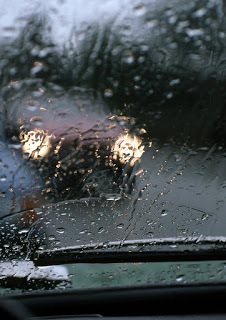 For many new drivers, more behind the wheel experience in a variety of driving scenarios including adverse weather conditions or driving on the highway can greatly improve their driving skills. In addition making sure that the car is properly maintained should also be a priority. For many new drivers, parents are the key to teen driving safety. The first few years are the most dangerous for the new driver. Statistics don’t lie — for nearly a decade, (1995 – 2004) more than 30% of all crashes involved teen drivers. Leading to the creation of the Graduated Driver’s License law, making parents more important in the lives of their teen drivers. These laws allow for a new driver to prove their maturity and trustworthiness. Depending on what state you live in, your teen driver might need more in-car experience. As mentioned above, various states have a form of the GDL law, requiring up to 50 hours of supervised driving, including 10 hours of night-time driving. To help track and log your teens driving hours you can use a Teen Driving Experience Log Book to track the maneuvers practiced, the weather conditions or even the route. There is bond that helps children understand a lesson better, if taught by his parents. Please keep this in mind as your child prepares for the responsibility of driving. Remember, parents are the first teachers for most experiences in their teens life. 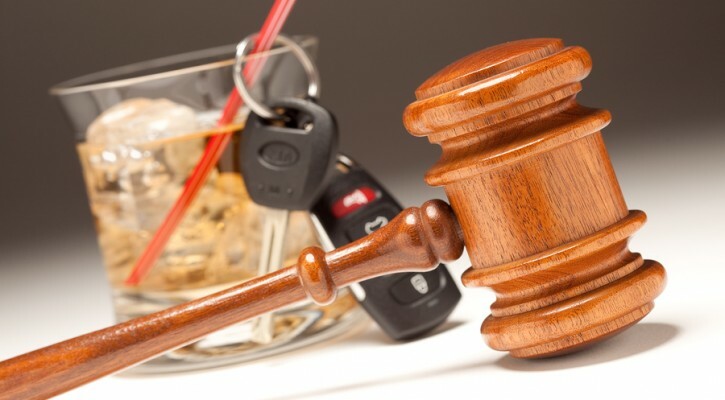 Everyone knows that you cannot Drink and Drive but it usually refers to a party, restaurant or bar. They are aware of drunk driving and what steps are needed to avoid a DUI. Such things as a designated driver or calling a taxi to prevent a crash are used to avoid the extensive penalties for an alcohol related crash. Many are not aware of something called the Open Container Law. In 1998, The Transportation Equity Act for the 21st Century, known as TEA-21 included the Restoration Act which is a Federal program to encourage states to pass laws that would prevent someone from possessing or consuming an alcoholic beverage while they are driving or in the passenger areas of a vehicle. If a state does not pass this type of law, a portion of their funding for highway construction would have to be set aside for enforcing drunk driving laws, and provide countermeasures for alcohol impaired drivers. Florida now requires mandatory traffic school for drivers who receive a traffic ticket for running a red light. Beginning October 1, 2009, drivers who receive a traffic ticket for running a red traffic light in Florida are required to complete a Basic Driver Improvement course. Drivers will be informed of the requirement to complete the course via US Mail. A Florida Basic Driver Improvement course is a four-hour course that helps drivers refresh their driving skills, learn about recent legislation that affects road users, and pick up new defensive driving techniques. The course is available online or in a classroom; drivers select an option based on their learning style and schedule. Drivers who take the driver safety course online will find it convenient, interesting, and easy to complete. Attending traffic school online allows drivers who have busy schedules to complete the course in sections, so it doesn’t interfere with work or time with family. An online driving course is particularly convenient because it can be taken anywhere the driver has access to the internet: Home, work, school, the public library, or even a coffee shop. Although other dangerous driving behaviors such as speeding and distracted driving garner more media focus, the Insurance Institute for Highway Safety (IIHS) reports that red-light running is the leading cause of motor vehicle collisions in cities. In 2006, 171,000 motor vehicle collisions were caused by drivers who ran red traffic lights, according to IIHS: 83,000 of these collisions caused injury, with a total of 144,000 individuals injured, and 791 of these collisions caused death, with a total of 887 individuals killed. Red-light runners are charged a fee for the Basic Driver Improvement course, but hopefully, the time and money spent and the knowledge drivers gain from the course will deter future red light running, which will save the public money; red-light running currently costs taxpayers at least $14 billion per year. In addition to the monetary cost, the cost of red-light running in human costs is high; fatalities from collisions due to red-light running are increasing at more than three times the rate of increase for all other deadly crashes, and more people are injured in motor vehicle crashes caused by drivers who run red lights than in any other type of crash. And it isn’t just red-light runners themselves who suffer; over half of the fatalities in collisions caused by drivers who run red lights are other motorists and pedestrians. And the fear engendered by red-light runners is pervasive; in a survey performed by Old Dominion University, 56 percent of Americans admit to running red lights; yet 96 percent of drivers were afraid of being hit by a red light runner. Well are you? Have you ever found yourself in a situation, where a driver cuts off on the highway, a driver in front is braking erratically, or even simply driving below the speed limit? How did you react to this? Some people would simply put up with it, it probably wouldn’t even affect others, but a few of us get wound up and angry at this person, and sometimes can end up lashing out. Does this sound like you? A recent survey of 526 motorists found that within the previous 12 months almost 90% stated that they had experienced behavior that could be classified as road rage. Aggressive driving can involve a number of things and situations, including following too close, speeding, weaving through traffic, using your horn excessively, not obeying traffic safety rules, verbally lashing out at over drivers and passengers in your vehicle, even just mentally condemning them for whatever they did to anger you! But have you ever stopped to think about the other driving that you’re condemning? 52% of drivers say they have experienced verbal abuse or gestures from another driver. 9% said they had been forced to pull over or forced completely off the road, while 3% said another driver had got out of their car and threatened them with violence. Sometimes people drive the way they do for valid reasons. Have you ever thought a driver could be breaking randomly because of a screaming baby, a loose pet, or even because there is a bee in the car? That maybe a car cut you off because there’s an emergency? Always put yourself in the other driver’s shoes. Admittedly however, you will come across some bad drivers in your lifetime, but it’s important that you control your anger, and learn how to handle situations effectively so as not to loose your temper, because aggressive driving does not have a positive outcome. If you are seen and reported driving aggressively, or find yourself in an accident or situation because of your aggressive driving and face all sorts of penalties, such as fines, driving bans, prosecution, community sentence, compensation pay-out to the victim of your rage, and in more severe cases, you could even face jail. If you suffer from aggressive driving and road rage, stop and think about what you could be facing, and what you could risk losing if you persist. But there are ways you can reduce your aggression and rage, in order to become a safe driver again. Always get your sleep, don’t stay out all night when you know you have to be up early. We all know we can get irritable and cranky when we don’t have enough sleep. Tiredness is one of the main causes of road rage and aggressive driving, according to the National Sleep Foundation. So make sure you stock up on those Z’s! Perhaps change the music you listen to. There’s an age old argument that says aggressive music leads to aggressive people, this isn’t strictly true in most cases, but what music you listen to can effect your driving. Aggressive or bass driven music can get you pumped up and ready for action! If you know your music effects you, then change it, you don’t have to drive along to classical if you don’t want, try listening to audio books, or even a comedy station. Listening to comedy can especially lighten our moods, and it can even drown out the traffic noise! Give it a try, it might help. And do you ever actually leave yourself enough time to get to work? 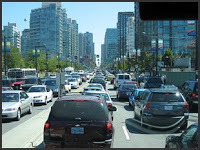 Being late can make us stressed and angry, if you allow yourself enough time to get to work make it through the traffic, if it’s the traffic that’s making your angry, try leaving early to beat it, or even just finding an alternative route. Couple this with some comedy radio or relaxing music, and you’re on the road to calm! And always remember it’s not about you. Drivers are not out to specifically get you angry, you are not the target, like I said before, perhaps they have a reason? Roll your window down, and take deep breaths to calm yourself if you feel yourself getting angry, it sounds silly, but it does work. If you think your aggressive driving is really bad, and these techniques are not helping, then there are groups you can join that can take your problem to the root, and give you more extensive techniques in order to help you. Remember, aggressive driving is not okay, it’s dangerous and you could be risking far more than your money and your freedom. Take steps today to curb your road rage and work your way towards a better driving life today.